The 21 million diabetes patients in America have their choice of eight different drug classes designed to lower blood glucose levels. Sodium-Glucose Co-Transporter 2 (SGLT2) Inhibitors are the newest class of prescription medication, approved by the FDA on March 29, 2013 for the treatment of high blood sugar in adults with type 2 diabetes. Since then, brands like Invokana, Invokamet, Farxiga, Xigduo XR, Jardiance and Glyxambi have popped up. Doctors like these drugs because they not only lower blood sugar, but also reduce blood pressure and help some patients lose additional weight. As with any drug, there is a risk of unwanted side effects. The most common issue reported among SGLT2 Inhibitor users is the increased incidence in vaginal irritation and urinary tract infections. However, the U.S. Food & Drug Administration warns that one potentially fatal complication known as ketoacidosis is another possibility, though no warning exists on the labels. On May 15, 2014, the US Food and Drug Administration (FDA) issued a safety communication stating that there have been 20 cases of ketoacidosis identified in their patient database from March 2013 through June 2014. All cases required hospitalization or emergency room treatment. 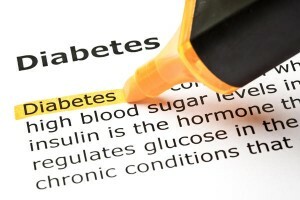 The average patient had type 2 diabetes, normal blood sugar levels and about two weeks of SGLT2 Inhibitor use. Since June 2014, the FDA said they have received “additional reports,” though they have not specified how many. The agency reports that it is “continuing to investigate this safety issue” to determine if new warnings are needed. Ketoacidosis occurs when the body lacks sufficient insulin to use sugar for fuel and begins to break down fat instead, causing a buildup of ketones in the blood and urine. In essence, this waste product “poisons” the body, causing severe flu-like symptoms such as relentless vomiting, intense thirst, mental fog, headache, muscle stiffness, abdominal pain, lethargy, confusion and difficulty breathing. If left untreated, ketoacidosis can lead to fluid accumulation in the brain, heart attack, kidney failure, coma and death. Once identified, treatment is as simple as giving the patient intravenous insulin and glucose. However, there could be lasting implications from such an episode. Just one hospitalization for ketoacidosis can increase a person’s chance of dying within five years by 10 percent, reports a Medscape article. Worse yet, four diabetic ketoacidosis hospitalizations increases the risk of premature death by 30 percent. Do SGLT2 Inhibitors cause ketoacidosis? One possibility is that the drug’s ability to lower blood glucose through sugar reabsorption in the kidneys and increased urine production may contribute to such low levels of glucose that the body begins to dip into fat reserves. More details are needed to issue clearer guidelines to patients and their doctors. Who is at risk for ketoacidosis complications? “I think SGLT2 inhibitors are great drugs for the treatment of type 2 diabetes and they should continue to be used, but people need to be aware that they can cause ketoacidosis,” explains Dr. Anne Peters, a Beverly Hills endocrinologist with Keck Hospital of USC, who has treated a number of ketoacidosis cases in SGLT2 Inhibitor patients over the years. She says the seemingly normal glucose levels often throw off medical providers, making the condition easy to misdiagnose. Dr. Peters adds, “The three cases that I’ve seen in patients with type 2 diabetes have all been postoperative cases.” For instance, one of the men was a 39-year-old morbidly obese man who had been diabetic for nine years, underwent gastric sleeve surgery and resumed taking his SGLT2 inhibitor a few days into his recovery. Doctors initially thought he was suffering from a postoperative complication until ketone levels were assessed. Doctors say the emphasis should be placed on recognition of the possibility for ketoacidosis in patients with normal glucose levels; but there are others who feel the safety warnings of known risks were not adequately disclosed. Pharmaceutical product liability lawyers across the country have begun reviewing cases of patients who say they would have never taken the drug had they known of the serious SGLT2 inhibitor side effects that landed them in the hospital. Should these SGLT2 diabetes drug lawsuits come to fruition, plaintiffs may be eligible to receive compensation from the drug manufacturers for medical expenses, lost income, emotional pain and suffering, or (in the worst cases) funeral expenses should a judge or jury determine that the company was negligent in failing to warn patients of known risks associated with their products.